After the RM 027, Richard Mille has now developed the RM 035, with a movement weighing just 4,3 grams. 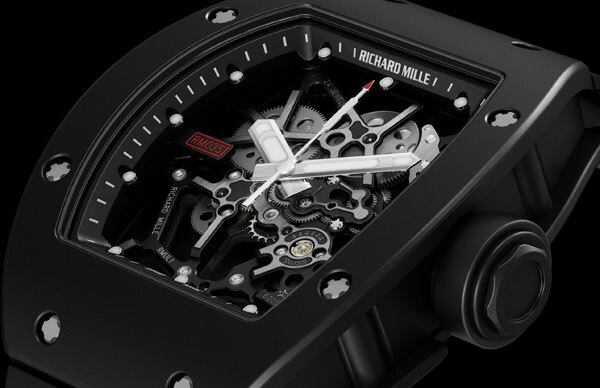 The RM 035 is the first Richard Mille watch Chronofiable certified, which represents a new milestone in the conquest for long lasting performance in extreme conditions. The RM 035 case is made of an extremely rugged and light alloy called magnesium-aluminium. This alloy is composed of 90% magnesium and 8.9% aluminium. Magnesium has a density of 1,74 g/cm3, which means it is one of the lightest metals used for construction. It is water-resistant to 50 meters, ensured by two Nitril O-ring seals. Inside is a relatively simple manually wound movement with a lovely skeletonized design, caliber RMUL 1. 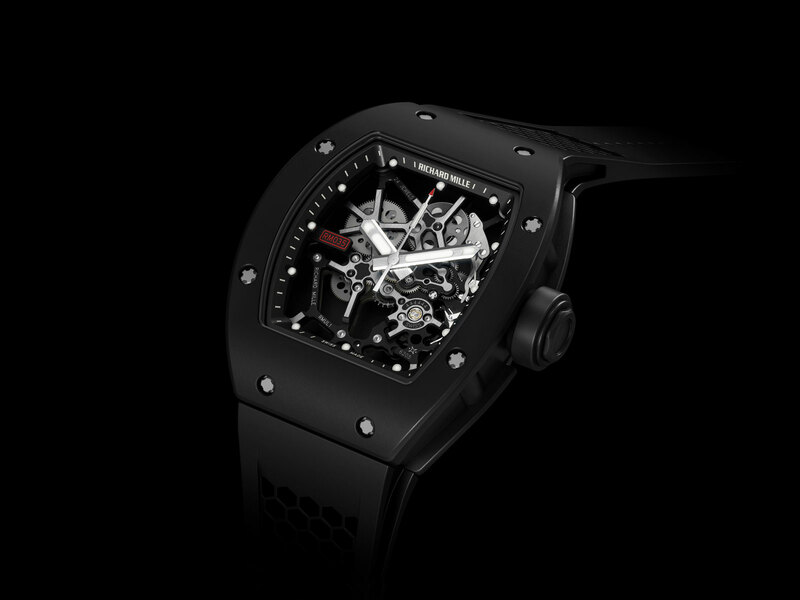 The skeletonization process of the RM 035 movement took one year to finalize, as there could be no compromise in the movement’s strength or ability to withstand shocks under the rigors of Chronofiable certification. The Chronofiable test, developed at the beginning of the 80’s by the CCF SA, was devised to expose timepieces to an accelerated ageing test simulating over 21 days, the equivalent of 6 months effective wear. The attractive design is made to be light but less expensive than the $525,000 RM 027. Available soon the RM 035 Rafael Nadal will retail for $85,000.